While it may seem complex, insurance is really quite simple: The payments (or premiums) of the many pay for the losses of a few. Your premiums go into a large pool, if you will, at your insurance company. The claims of the few are paid from that pool. Because there are more people contributing to the pool than there are making claims, there is always enough to pay the claims – even large single claims like when someone is permanently disabled as a result of a car collision, or many smaller claims like those resulting from a natural disaster. However, large disasters (such as an earthquake) do come close to emptying the pool. Even when the pool comes close to emptying, there is another pool from which insurance companies can draw to pay claims. Some of your insurance premiums are used by your insurance company to buy reinsurance. Reinsurance is insurance for insurance companies. Sometimes losses are so big – like those resulting from an earthquake – that there is no way that an insurance company can cover the costs. Reinsurance is an extra layer of protection against large losses. Your insurance is an annual contract, so the pool operates for only one year at a time. Your premiums and the premiums of others are based on how much money the insurance companies think they will need to pay the coming year’s claims. Your premiums do not build up over the years – unlike the premiums for some types of life insurance. Within reasonable limits, some of which are prescribed by law, your premium is calculated to reflect the probability that you will make a claim – that is, that you will draw funds from the insurance pool. Those who are unlikely to draw from the pool pay less than those who are more likely to draw from it. Insurers take many factors into consideration to determine the likelihood that you will make a claim. A common misconception is that a policyholder who has never made a claim should pay less, little or nothing for insurance. While it is true that past claims history is important, a more reliable indicator of how likely a person or business is to make a claim is the statistical group to which he/she/it belongs. Do insurance companies make money on the premiums that they collect? Insurance companies generally do not make money on the premiums gathered from policyholders. In 2005, insurance companies paid more than $21 billion in claims while taking in $35 billion in premiums. The difference between the premiums and claims, in this case $14 billion, is used by the companies to pay salaries and taxes ($6.2 billion in 2005), and to cover the overhead costs (such as electricity bills) of running a business. It is also used to pay the administrative costs of settling a claim. What factors affect what you pay for automobile insurance? The colour of your vehicle does not affect the premium on your policy. What are some things I can do to lower my automobile insurance premiums? Will my policy cover me if I lend my vehicle to someone else to drive? You must consent to its use by the other driver. The person who borrows your car cannot be using it as part of a regular routine. If your friend uses your car every Friday to go grocery shopping, then he/she must be named on your insurance policy as an occasional driver. The person to whom you lend your car must be a licensed driver who is legally allowed to drive in the province. If the person borrowing your car has an accident while driving your car, it goes on your insurance record. When you lend your car, you are also lending your good driving record. What coverage is mandatory and what coverage is optional? Automobile insurance in Ontario is required by law. You must not drive without it. To drive on public roads in Ontario, you must have Third-Party Liability, Statutory Accident Benefits, Direct Compensation – Property Damage and Uninsured Automobile coverage. Third Party Liability protects you is someone is killed or injured or their property is damaged because of your negligence. It will pay for legitimate claims against you up to the limit of your coverage, and will pay for costs of settling the claims, including defense costs. The minimum liability limit required in Ontario is $200,000. We recommend that you carry a limit of at least $1,000,000 to ensure that you have adequate protection. Accident benefits provides benefits if you are injured or killed in an automobile accident anywhere in Canada and the United States regardless of who caused the accident. Direct Compensation – Property damage allows you to claim from your insurance company for damage to your vehicle and its contents cause by someone else. This means that, to the extent that you are not at fault in an accident with another vehicle, you insurer will pay for damage to your vehicle and its contents. There is generally no deductible applied to this coverage. This coverage only applies if the accident occurs in Ontario and if all parties involved have valid insurance coverage at the time of the accident. Uninsured automobile coverage protects you if you are injured or killed by an uninsured motorist or a hit-and-run driver to the extent you were not at fault. The policy provides for up to $200,000 of coverage. This coverage also covers damage to your automobile caused by an indentified but uninsured motorist. The policy provides for up to $25,000 of coverage and is subject to a deductible of $300. This coverage pays for damage to your vehicle to the extent that you are at-fault or for damage caused by an unidentified vehicle or object. This coverage is subject to a deductible. The standard Collision deductible is $500, however you may choose a higher deductible in order to decrease your rates. This coverage pays for all insured damage to your vehicle except for collision damage (e.g. fire, theft, vandalism). This coverage is subject to a deductible. The standard Comprehensive deductible is $300, however you may choose a higher deductible in order to decrease your rates. coverage available as it includes all types of coverage unless specifically excluded. This coverage is subject to a deductible. The standard All Perils deductible is $500, however you many choose a higher deductible in order to decrease your rates. This coverage pays for a rental vehicle if your vehicle requires repairs after an at-fault accident. Generally, there will be a $1,000 limit to this coverage; however this amount varies from company to company. This endorsement is available to those who purchase a new vehicle and is available for a period of not more than two (2) years. It will compensate you for insured losses as if the car were brand new. This endorsement does not provide you with any coverage, in fact it removes coverage if the excluded driver listed on the form drives your vehicle. It is commonly used to remove coverage for a driver with a poor driving record or claims frequency. It is useful for avoiding an additional premium such drivers would normally be charged for having access to your vehicle. Please ask your broker if this would be beneficial to your particular situation. How do claims affect my premium? Answer: If you are at fault or partially at fault in a collision, your renewal premium may be affected. If you lend your car to others and they cause an accident, your premium may be affected. A lot of “at-fault” claims and/or driving convictions could result in your being transferred to the high-premium Facility Association at renewal time. Some types of claims do not affect you premium. For example, many companies allow one”at-fault” claim for clients believed to be good drivers and make little or no adjustment inrating or premium at renewal. Claims for theft, vandalism, fire, broken glass and for collision when you are not at fault do not affect your renewal premium. How do convictions affect my premium? Answer: Driving convictions, including seatbelt infractions, may affect your rating in several ways depending on the number and type. Premium calculations vary by company. Contact your broker if you’re concerned about how a conviction will affect your renewal premium. To be eligible for preferred rating plans, such as “six star,” you must have a clear record or no more than one or two minor driving convictions (requirements vary by insurance company).Additional convictions usually result in the loss of your preferred status and discounted premiums. So, in addition to the fine you pay, your insurance costs can go up. Insurance companies may also levy a premium surcharge if you have several minor driving offences or one of the more serious offences under the Criminal Code of Canada or the Highway Traffic Act. How does Ontario’s no-fault automobile insurance system work? Does it matter who caused the accident? It does matter who caused the accident. You certainly can’t be blamed for being confused about the term “no-fault” insurance – it’s a commonly misunderstood term. No-fault insurance doesn’t mean the insurance company lets you off the hook if you cause an accident. Despite the misleading name, itdoes matter who caused the accident, and if you are found to be at fault, either completely or partially, it will go on your insurance record. That means you may experience an increase in your future premiums. No-fault insurance really means that if you are injured or your car is damaged in an accident, you deal with your own insurance company, regardless of who is at fault. You don’t have to go afterthe at-fault driver for vehicle damage reports or for the health care and income replacementbenefits to which you are entitled. For example, if you were injured in a car accident, you would ask for any medical benefits offered under your policy immediately from your company, even if you were to blame for theaccident. So you can get the help you need right away, instead of having to wait for the insurancecompanies to decide who was at fault before paying any benefits. Someone is always determined to be “at fault” in an automobile accident, whether partially or fully. Insurance companies must determine the degree of fault to be assigned to each driver so they can adjust at-fault drivers’ premiums. In Quebec and Ontario, charts or rulesare used to determine fault or responsibility for property damage claims – damage to your car – but not for injury claims. In Ontario, fault is determined by the Ontario Insurance Act and the Fault Determination Rules of that same Act. The Fault Determination Rules contain examples of common types of collisions and explain how to assign fault for insurance purposes. They help insurance companies handle claims promptly and to be fair and consistent. After you report an accident to your insurer, your company investigates the accident and then makes a fault decision based on these rules. vehicles, or the actions of pedestrians; and may find you or the other driver wholly or partially at fault. If the circumstances show more than one driver was negligent (or at fault), each driver’s insurance company may become involved in the settlement, based on the degree of responsibility connectedwith each driver. If there is a dispute about responsibility, it may be necessary to go to court to resolve it. Will my policy cover me if I drive outside of the province or country? Your insurance policy will cover you if you take your car on short trips to other provinces or into the Continental United States. Your insurance policy does not provide any coverage outside of Canada and the Continental United States. What factors typically affect what you pay for property insurance? Where you live: Insurers keep records about such things as the number, type and cost of claims by neighbourhood. They can tell from past experience what the circumstances are in your neighbourhood, and how likely it is that you will have to make a claim. For example, if you live in an area where most people commute to work and homes are left unoccupied during the day, the statistics may show your neighbourhood has more break-ins. The cost of home insurance, therefore, varies from neighbourhood to neighbourhood, from city to countryside, and is based on knowledge and experience. Proximity to water: Insurers are concerned about fire, and will look at how far your home is from a source of water (e.g., fire hydrant, fire station) If you live in an urban area, this is generally not a problem. If you live in the country and the distance is great, however, this will influence the cost of your home insurance. The sooner a fire can be put out, the lower the cost of restoring your home. Replacement cost: The factor that will make the biggest difference in the cost of your home insurance is simply the size and composition of your house – as well as your contents. The larger the house and the more contents you have, the more it will cost to replace. In addition to the square footage, insurers will take into account such things as the quality of construction used to build your original house, as that can vary greatly from home to home. Heating: Because oil tanks have the potential for causing costly environmental hazards, your insurance representative will ask you lots of questions about the age and condition of your tank. There is far less risk with forced-air gas furnaces or electric heat, so you may pay more for your home insurance if your home is heated by oil. Electricity: There are several factors concerning electricity. Do you have breakers or fuses? What is the flow of electricity coming into your house, i.e., the “amp”? And what kind of wiring do you have? Insurers know from experience that breakers pose less risk than fuses, and that a minimum of 100-amp service is better than a lower level of service, as a lower amp can lead to overloading and fire. They also know that some older types of wiring, such as knob-and-tube or aluminum, can increase the chance of fire, especially if the wiring has deteriorated or been damaged during renovations. Some insurance companies may ask for a guarantee that a home does not have this kind of wiring; some may give you time to have it removed; while others may ask to inspect the condition of the wiring to ensure it’s safe. Pipes: Galvanized or lead piping usually means that the plumbing is older, and older plumbing is more likely to crack, leak or run into other problems. Insurance companies generally prefer homes where the plumbing has been upgraded to copper or plastic. Wood stoves: These are a common source of house fires and carbon-monoxide poisoning, particularly if they are not properly installed and maintained. Insurance companies may want to inspect such installations. Consult your insurance representative before buying or renting a home with a wood-burning stove, or before installing one. Age of roof: Insurers generally prefer it if your roof has been updated within the last 20 years. Some policies will pay only depreciated values, as low as 25% of the replacement cost, for damaged roofs that are near the end of their designated service life. Other uses of your home: Insurers will want to know if you have built or are planning to build a rental apartment into your home; begin operating a business there; or make any other significant alterations to the structure or the way your home is used. Other factors: Insurers will ask if you have a security alarm and a fire alarm, and whether they are monitored by an outside service. They will also want to know if you have a swimming pool and other structures on your property, such as pool houses or storage sheds, that are worth more than 10% of the insured value of your home. Basic or full coverage:Once all of the above is taken into consideration, you get to choose the types of coverage you’d like – which will also influence the cost you pay. While there are government regulations dictating how much insurance drivers must have, there are no such laws when it comes to home insurance. The only requirement may be one set by your bank or mortgage holder. From there, it’s up to you to decide whether you prefer basic or more comprehensive coverage. And this is something we can help you with. What are some things I can do to help reduce my property insurance premiums? Comprehensive – this is the most thorough coverage available providing All Risks coverage for your home and your contents. Regardless of which policy you select, some coverage’s can be increased and certain items insured separately. We would be happy to sit down with you to review your coverage needs. Depending on how long you are away from your home, you need to make arrangements to ensure your dwelling is checked regularly, especially during the heating season. In some circumstances, you may be required to inform your insurance company. If you will be away from your home for fewer than 30 days, you do not need to inform your insurance company. However, you do need to arrange for a competent person to look in on your home everyday or two to make sure everything is in good order. If a deep freeze and/or broken furnace results in exploding pipes and water damage goes unnoticed for several days, your insurance company could refuse to cover the costs if no one was looking in on the house. If you are away for more than 30 days, your home is considered unoccupied because you plan to return. In this case, you should contact your broker to determine whether you will need to inform your insurance company and obtain a special permit to leave the house empty. You will still need to arrange regular checks on the property, and you might want to consider draining water pipes and installing a good security alarm system. A fully vacant property is one with no occupants and no contents. You will need to obtain a vacancy permit from your insurance company. This permit will maintain most of your coverage, except for risks associated with vacancy such as broken water pipes, broken glass or vandalism. Are my personal belongings covered when they are temporarily removed from my home? For example, while I am traveling? Your personal belongings, also known as contents, are covered when they are temporarily removed from the premises. This coverage extends worldwide. 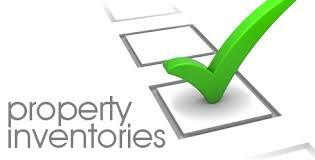 Should I complete a personal property inventory? A great preventative measure to help ensure an accurate and prompt claim settlement prior to making a claim is to complete a home or business inventory. Although initially an inventory does require some work, it is an invaluable tool in the event of a crisis. In addition to ensuring that all contents can be listed and included in a claim, an inventory will ensure that you are carrying an appropriate amount of coverage on your personal property or business contents. – To save time, use digital photos or video if available. Something is better than nothing. – Make sure you update the inventory from time to time, perhaps at renewal time. A 5 year old inventory is not likely to be accurate. – Keep a duplicate copy offsite. We would be happy to keep a copy in your file.